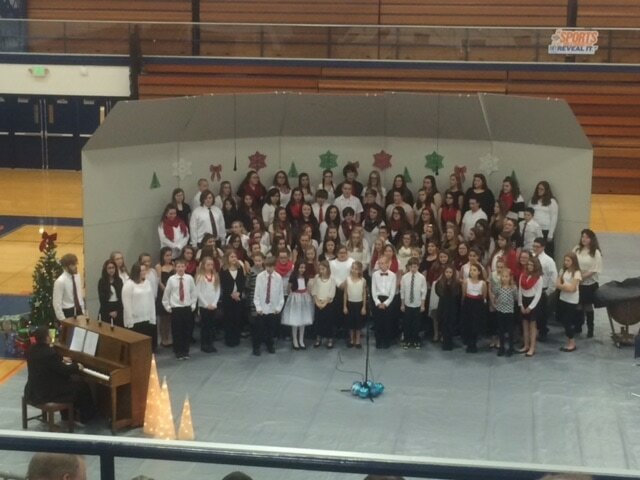 The Choral program in the North Newton Schools form an important part of the total school life. We are ambassadors that perform throughout the state, while representing Newton County and the surrounding area. We represent our school with the highest standards of excellence and ethical conduct. It is the mission of the North Newton School Corporation Choral Program to develop the individual student through musical experiences that promote the knowledge, skills, attitudes, and values necessary to become free-thinking individuals, independent musicians, life-long learners, informed consumers of music, participants of music-making, and advocates of music and music education. There is always the potential to have more performances throughout the year, and the full year Music Department Calendar can be found here.